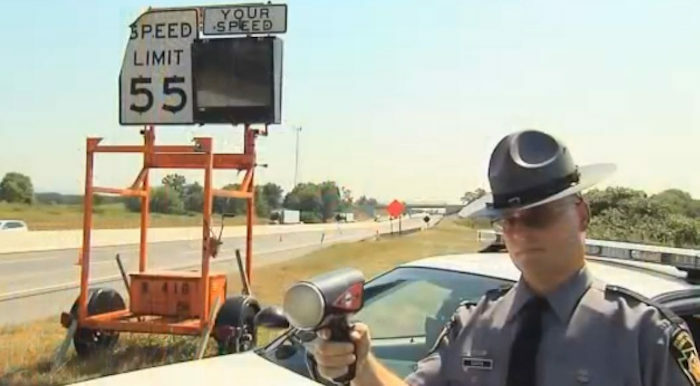 The state of Pennsylvania has introduced new legislation that enables agencies to deploy automated speed enforcement camera systems to deter speeding in highway workzones and ultimately improve motorist and road worker safety. Governor Tom Wolf has signed Senate Bill 172, the Automated Speed Enforcement in Work Zones law, which aims to address ongoing safety concerns in highway workzones. The latest statewide statistics show that 40% of all workzone crashes involve speeding. Crashes in workzones on interstates and the Pennsylvania Turnpike increased from 618 in 2012 to 1,008 in 2016. There has also been a 5% increase in the average annual rate of workzone crashes statewide from 2012-2016, increasing from 1,661 in 2012 to 2,075 in 2016. The new law has three key provisions, one of which enables the Pennsylvania Department of Transportation (PennDOT) and Pennsylvania Turnpike Commission (PTC) to perform a five-year pilot program in which some construction and maintenance workzones will have cameras equipped with lidar or radar to take photos of license plates of any vehicle exceeding the workzone speed limit by 11mph (18km/h) or more when workers are present. If a violation is committed, a Pennsylvania State Police (PSP) representative will review it and then a notice of violation will be issued to the registered vehicle owner. The first violation is a warning, the second violation results in a US$75 fine, and the third and subsequent violations means a US$150 fine. Violations will not be subject to driving points or merit rating for insurance purposes. The law allows PennDOT and the PTC to choose which workzones on the federal highway system will be used in the pilot. Special advanced signage advising motorists of the camera enforcement must be erected at the affected work zones. PennDOT, the PA Turnpike, and the PSP are working to develop a Request for Proposals (RFP) for a vendor to administer the system and provide the hardware. The selected vendor will be compensated per a flat fee and not per violation. As an additional provision, the legislation establishes a five-year pilot program within the City of Philadelphia for automated speed cameras, with enforcement zones permitted along the entire length of US 1 (Roosevelt Boulevard). As with the workzone pilot, special signage must be erected denoting the speed enforcement zone. The Philadelphia Parking Authority is designated as the system operator and cameras will be equipped with lidar or radar. The third provision in the law allows the use of lidar-based speed-measuring devices for the automated speed enforcement programs and by the PSP; this is the first time the technology has been permitted in the state.